GET YOUR LISTENER'S ATTENTION, KEEP HIS INTEREST, AND MAKE YOUR POINT -- ALL IN THIRTY SECONDS! * Shine in meetings, question-and-answer sessions, and more! 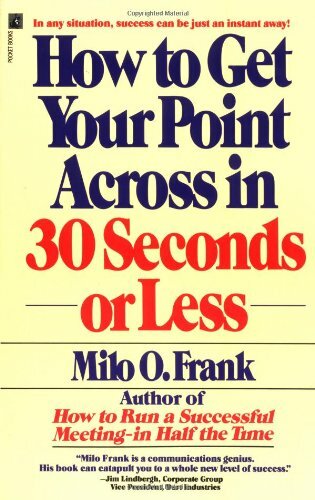 Milo Frank's proven techniques give you the edge that successful people share -- the art of communicating quickly, precisely and powerfully! 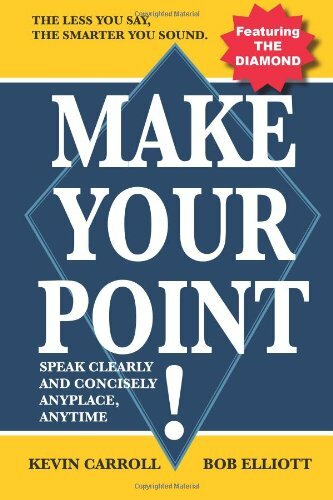 In less time than it takes to fly from New York to Chicago, readers of Make Your Point! will know exactly what to do to master the spoken word. The authors, two seasoned and streetwise corporate communication coaches, have written a book that's lively, witty and gives down-to-earth advice for every businessperson and college student who wants to be a first-rate communicator. So whether you have to give a presentation, sell, write a paper, or interview for a job, this book will help you get your message across. * Successfully handle every communications challenge: pitches, off-the-cuff remarks, Q&A, and more. This fun, fast-paced, easy-to-use workbook is like having a speaker coach between two covers. It features the same public speaking insights that I've shared with hundreds of individual public speaking clients. The SPEAK LIKE YOURSELF approach has worked for them, and it will work for you, too! Life is a presentation. The ability to present one's ideas quickly and efficiently is a significant resource in today's business world. 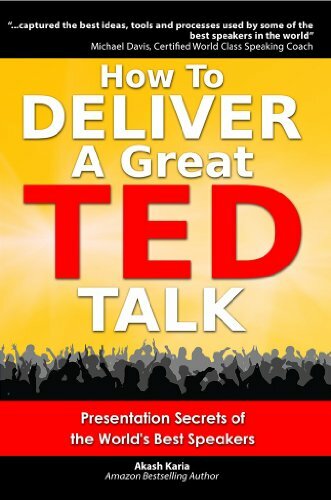 "How to Deliver a Great TED talk" is a complete public speaking system for delivering highly effective presentations and speeches. If you've watched TED videos before, you've no doubt been inspired and electrified by speeches by figures such as Sir Ken Robinson, Jill Bolte Taylor, Simon Sinek and Dan Pink. If you follow the guidelines and tools in this book, I guarantee that your audience will have no choice but to be wrapped up in your speeches and presentations. This book is the result of my intensive research. In it, you'll discover tools that will help make you twice the speaker you are today in half the time. This book is also based on the work of bestselling authors Chip and Dan Heath. In their groundbreaking book, Made to Stick, Chip and Dan Heath revealed six simple principles for creating memorable messages. 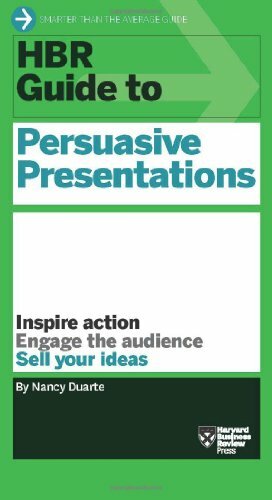 In this book, I have taken Chip and Dan's work and applied it to creating powerfully persuasive presentations. I use their SUCCESS framework and draw on examples from TED talks to show how the success principles can be applied to public speaking. 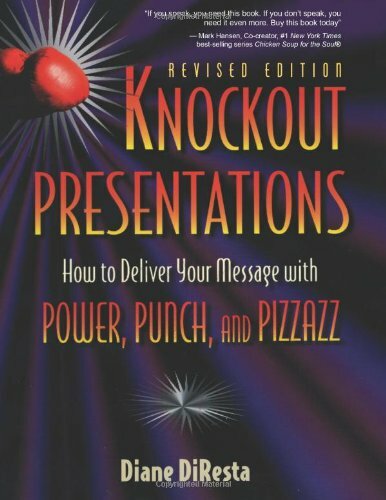 Whether you are scheduled to deliver a TED talk, a business presentation or a motivational or inspiring speech, this book will teach you the techniques used by some of the world's most powerful public speakers. 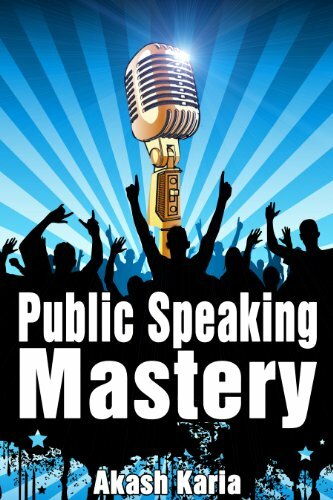 Learn the art of public speaking and persuasion by studying the speeches of inspiring speakers such as Anthony Robbins, Sir Ken Robinson, Mike Rowe and Dr. Jill Taylor. "World class speaking tips that you can start using today"
"Maybe one of the clearest books on presentations I've ever read"
"Great, practical tips to help you become an outstanding speaker"
Shorten your learning curve and learn the public speaking secrets most speakers never discover. •Turn your stories into mental movies for your audience. Learn advanced storytelling skills to make your characters and your scenes come alive. •Uncover organic humor hidden inside your stories. Learn how to Wow Your Audiences - Every Time! Apart from containing model speeches and detailed analysis of each speech, each chapter contains Evaluation Exercises and Application Exercises to double your growth as a speaker in half the time. 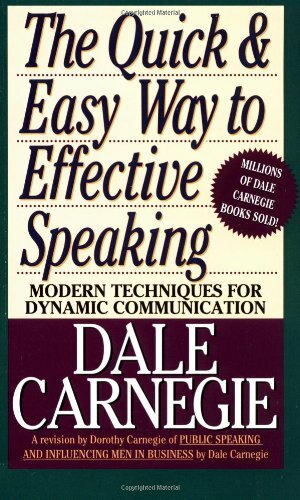 The combination of world-class speeches, practical exercises and advanced public speaking techniques covered in this book make this a truly valuable resource. There is no other book like this on the market! 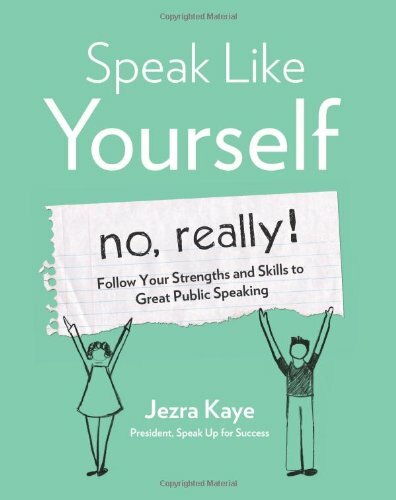 With endorsements from two of the largest and most influential public speaking groups -- the National Speakers Association and Toastmasters International -- this book is written by an expert speechwriter whose eloquent voice leads readers through the difficult process of writing a great speech. 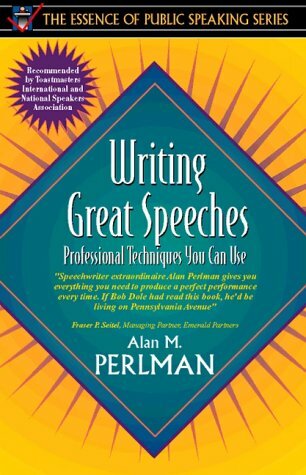 In these pages a seasoned speechwriter reveals his trade secrets - from analyzing the needs of an audience to leaving them with a satisfying sense of closure - as he guides readers through the process of planning, writing, and honing an outstanding speech. Readers will discover effective ways to connect with an audience, explain concepts, and support ideas, learn how to time and cut a speech when necessary. The bottom line? When readers have finished this book, they will be well on their way to making their next big speech a big success! Anyone -- from a businessperson to a community member -- who wants to learn the skills necessary to write and deliver a memorable speech. Part of the Essence of Public Speaking Series. Centered around three core objectives — helping readers develop vital communication skills, encouraging speaker adaptability to diverse audiences, and sensitizing speakers to the ethical impact of their words — Public Speaking offers both practical advice and an understanding of why such advice works. The eighth edition concentrates on greater simplicity, clarity, and accessibility. 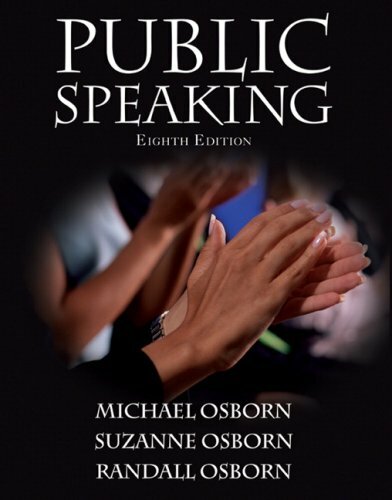 The book offers a functional approach to informative speaking and emphasizes the ethics of persuasive speaking. These ideas come to life through examples from real, student, and professional speeches, Exploration and Application exercises at the end of each chapter, and a variety of boxed features throughout the book. Public Speaking for College and Career offers a practical, accessible, and non-intimidating approach to public speaking. 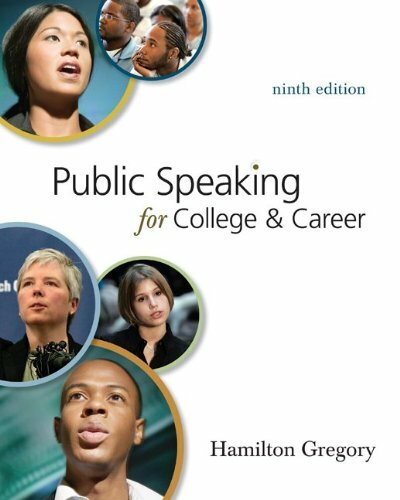 Through numerous stories, examples, and techniques, this popular text shows students how to achieve clarity and confidence during the speeches they must give in college, in their careers, and in their communities. The new edition features Connect Public Speaking - a dynamic and powerful web-based learning management system with the student experience at its core. Informed by extensive research conducted with both instructors and students, Connect is designed to help students earn better grades and save instructors valuable time, whether teaching a face to face, online, or hybrid course. Connect Public Speaking allows students and instructors to access all course materials including a complete media and research library, study aids and speech preparation and assessment tools from a single place, http://connectpublicspeaking.com. Connect Public Speaking offers all of this with the addition of an integrated, interactive eBook that immerses students in a flexible, interactive environment. Whether a novice or an experienced speaker, every student will learn how to be a better public speaker through Lucas' clear explanations and thorough coverage. 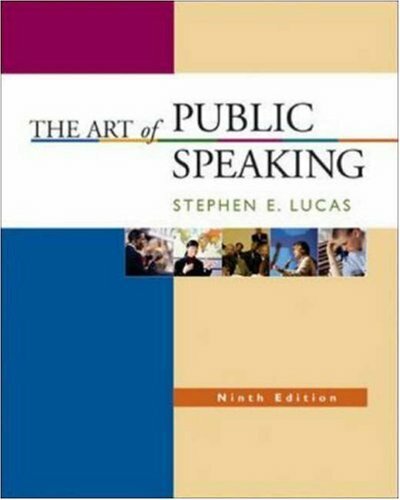 By far the leading speech textbook of our time, The Art of Public Speaking has defined the art of being the best for more than six million students and instructors. The Lucas Learning Tools Suite offers even more tools and study options to fit the active lifestyles and diverse learning/teaching styles of today's students and instructors.